Located on E. 4th St., directly across from the Hospital parking lot. Home » Our Doctors » John Rush, O.D. A longtime resident of Curry County, Dr. Rush is very active in the optometric profession and in the community. He served on the Oregon Optometric Association Board of Directors from 1974-1980, was President of the association in 1978, and served as a Trustee on the Board of Directors of the American Optometric Association for 5 years. He has given over a hundred speeches nationally on continuing education in optometry. 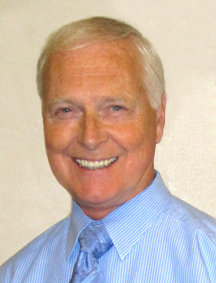 He has had a private practice in Gold Beach and Brookings for over 30 years. In addition, he is the president of Rush Technologies, a company which manufactures ophthalmic instruments and develops software for eyecare offices. He served on the board of trustees of Pacific University (Forest Grove, Oregon). He is a member of Rotary International and has been instrumental in the development of a “Eye Mission” project to Ecuador over a period of 5 years. He served a 5 year term as Port Commissioner of the Port of Gold Beach in 1980. His wife Hazel is a photographer and artist. They have 6 children and 8 grandchildren.